The authors of this review describe the mechanisms of aging, with a particular attention to the molecular and the cellular manifestations. Epigenetic alterations: by evaluating the acetylation of H4K16, H4K20 and H3 K4, K9, and K27 methylation, DNA methylation patterns, non-coding RNA models (miRNA, expression profiles). Cellular senescence and pro-inflammatory cytokines: by the measure of PAI-1, IGFBP-3, IL-6, TGF-β, IL-1β, TNF-α, p16INK4a and p19ARF, p53, p21, β-galactosidase associated with senescence (SABG), as well as the circulating factors GDF-11, CCL11, Klotho, β2 microglobulin. Cardiovascular system: Brachial pulse pressure, left ventricular mass, wall thickness, echocardiographic parameters, pulsatile wave velocity, augmentation index, aortic valve calcification, and heart rate. Renal system: Cystatin C, clearance of creatinine. Immune system: immune risk profile (lymphocyte proliferation); Mitogen response (B cell number, CD4/CD8 T cell ratio, CMV status). Neurocognitive system: MMSE (Mini-mental status examination), cognitive battery, functional MRI. Endocrine system: thyroid biochemical tests, fasting glucose, insulin, circulating levels of estrogen and testosterone. Sensory system: visual acuity, auditory test, retinal microvascular damage. Using these molecular and physiological markers, the authors propose a “composite biological age score” (BAS) to evaluate the biological age of each person. 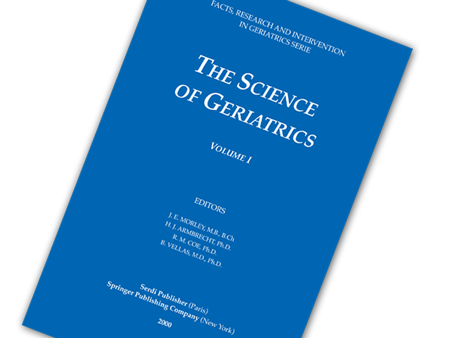 In order to validate this BAS, it is necessary to establish several studies (observational prospective cohorts, case-control studies, family-based studies …), and to use mathematical tools (multiple linear regression for example) and relevant statistic tests (principal component analysis to determine the number of biomarkers to include). (1) Khan, S.S., Singer, B.D., and Vaughan, D.E. (2017). Molecular and physiological manifestations and measurement of aging in humans. Aging Cell 16, 624–633.